Lexicon, by Bram de Does, is a type designer’s type design, par excellence. The typeface shows a perfect understanding of the digital media, its limitations and potential. The treatment of thicks and thins through all its six weights shows that De Does understands the essence of digital type design. De Does designed only two typefaces: Trinité, designed for the Swiss company Bobst Graphic (then taken over by Autologic) in August 1981; and Lexicon. He spent most of his career as a book designer and typesetter, first at printing house J. H. de Bussy in Amsterdam, and later at Joh. Enchedé en Zonen in Haarlem. Lexicon came into being more or less spontaneously. In 1989 after being asked by Bernard van Bercum for a Medium Condensed version of its Trinité to be used on the twelfth edition of Van Dale’s dictionary Groot Woordenbock der Nederlandse Taal, Bram suggested that he could make something specially for the purpose. At that time, the availability of digital fonts for text setting was limited. Working with Peter Matthias Noordzij of The Enschedé Font Foundry (TEFF), Bram de Does quickly produced a new design. The first proofs were made in 1991 and the publisher soon decided to use Lexicon for the Van Dale dictionary which came out the following year. This version has short extenders – ascenders and descenders – designed for the small text. The family was ready for publication in 1995 as part of the TEFF library. 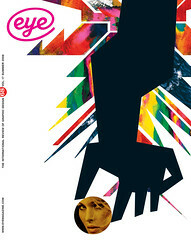 What else one should expect from a typeface designer? If I were obliged to work with just one typeface, I would without a doubt choose Lexicon. 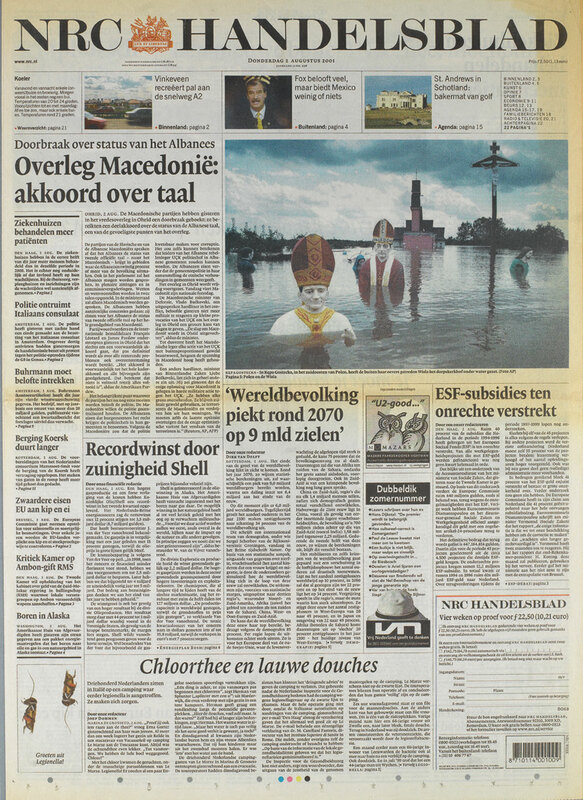 Top: front page of NRC Handelsblad, 2 August 2001.